This shop uses the PayPal cart but you do not need a PayPal account. Your payment will be processed through PayPal using your balance or a credit card. Your items will be shipped the next working day to the address indicated in PayPal. 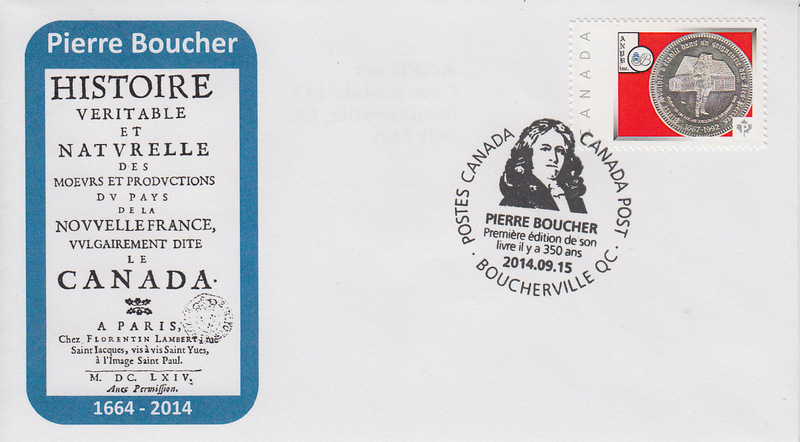 Cover issued on September 15th to commemorate the 350th anniversary of the book written by the first Canadian in 1664. 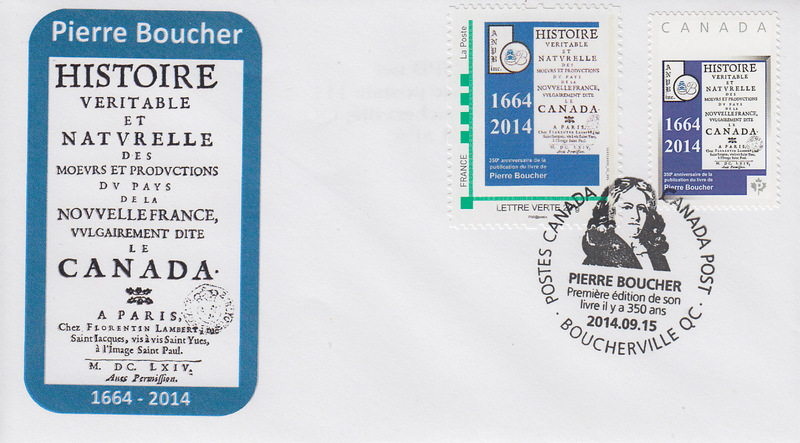 A special cancel is applied to stamps from France and from Canada. A special cancel is applied. 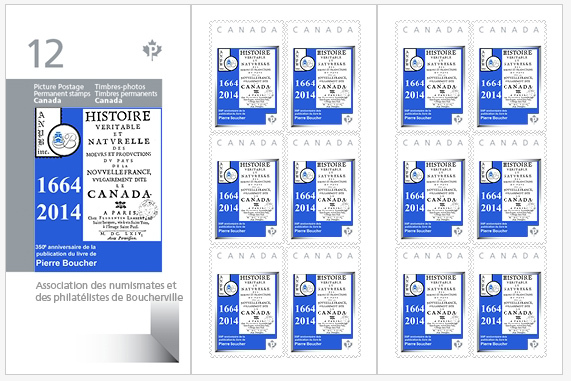 Booklet of 12 stamps showing the cover of the first book published by a Canadian Author in 1664. 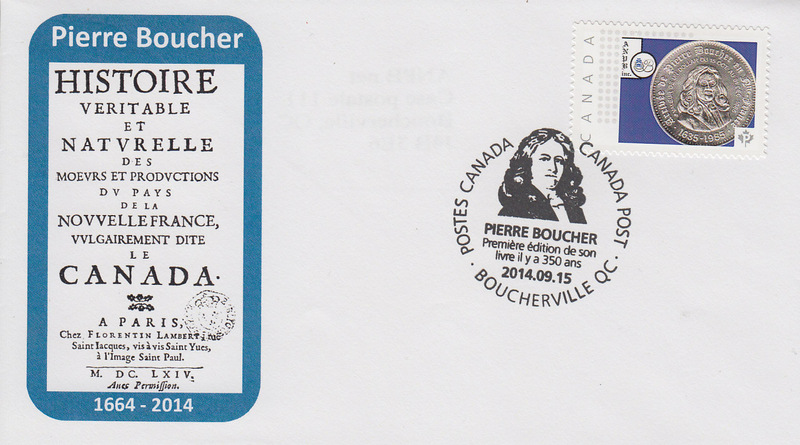 Written by Pierre Boucher, this year is the 350th anniversary of its edition. 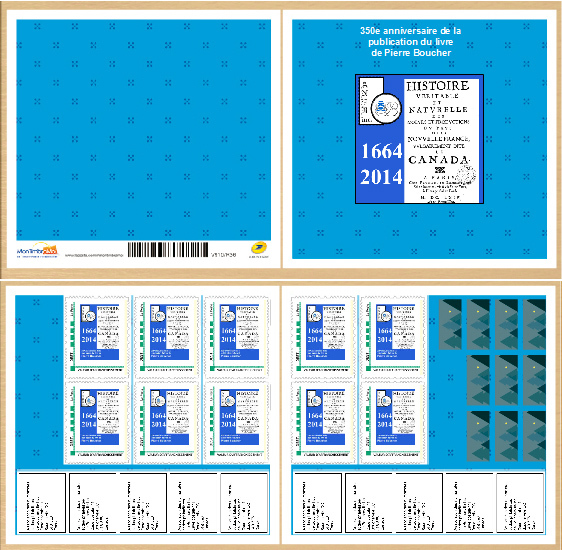 Canadian Edition- This booklet contains real stamps usable on postage with a (P)Permanent value for a letter of 30g or less inside Canada. Shipping is Free anywhere in Canada. For delivery outside Canada, please send an email with your address and description of items required and we will send you a PayPal invoice. 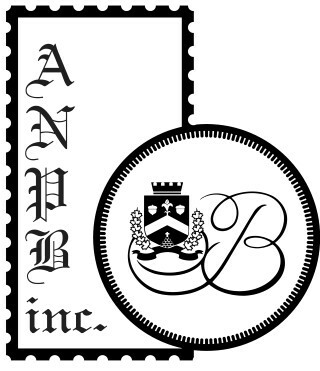 Limit of 1 booklet per order. 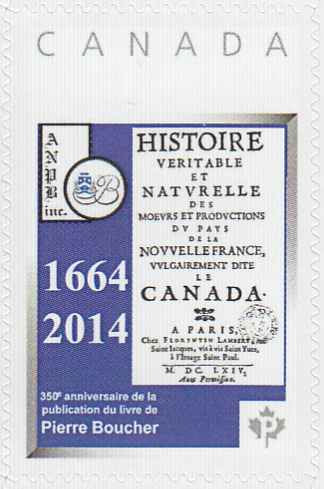 Booklet of 10 stamps showing the cover of the first book published by a Canadian Author in 1664. 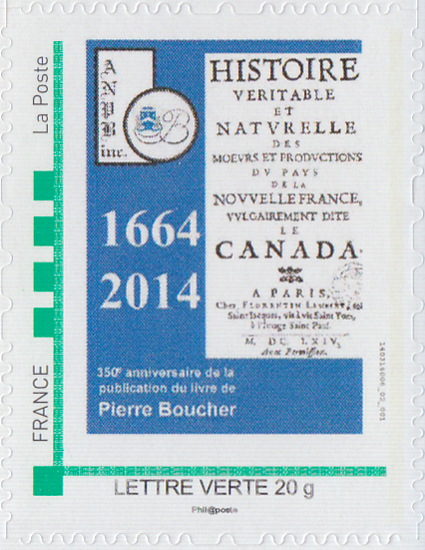 Written by Pierre Boucher, this year is the 350th anniversary of its edition. 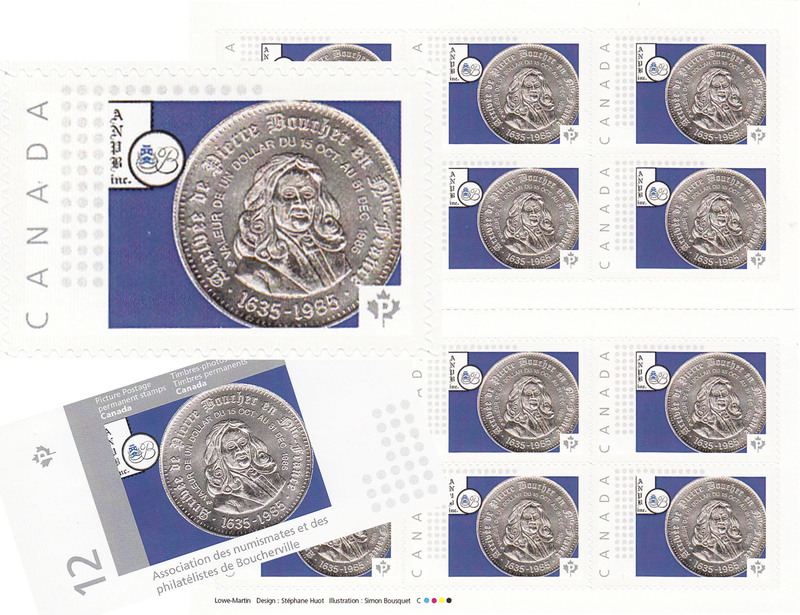 French Edition- This booklet contains real stamps usable on postage with a Green Letter value for a letter of 20g or less inside France. 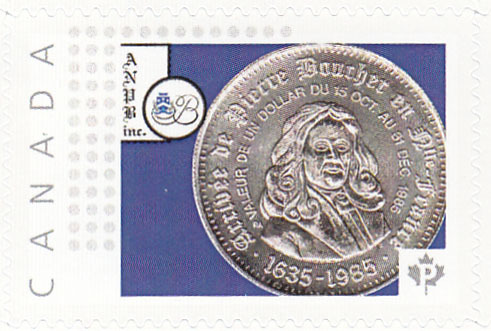 Booklet of 12 stamps showing the 1985 Trade dollar issued by the Association to commemorate the 350th anniversary of the arrival of Pierre Boucher in New France. 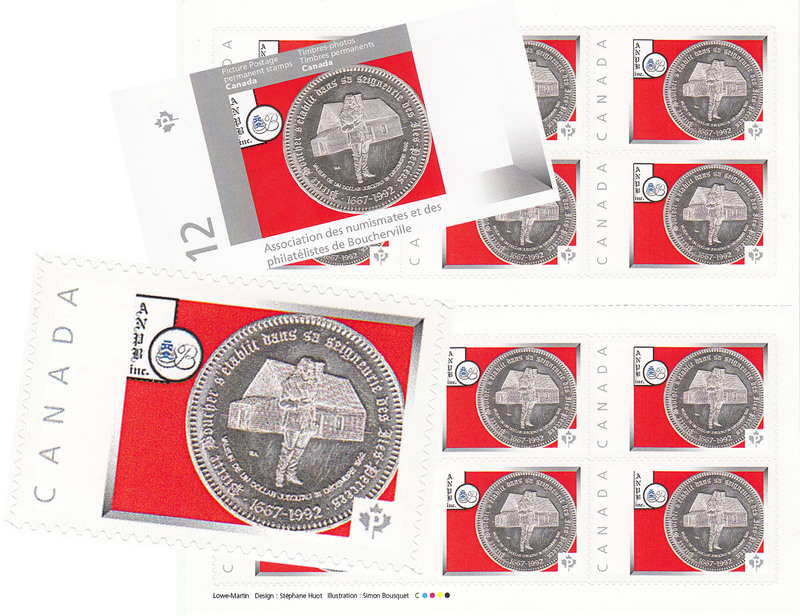 This booklet contains real stamps usable on postage with a (P)Permanent value for a letter of 30g or less inside Canada. 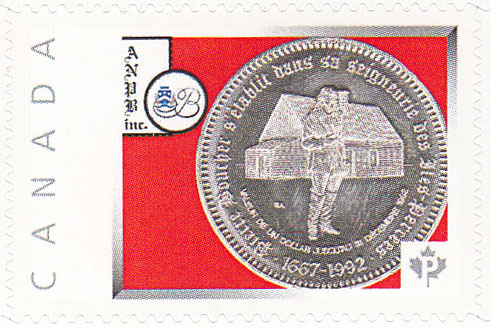 Booklet of 12 stamps showing the 1992 Trade dollar issued by the Association to commemorate the 325th anniversary of the settlement of Pierre Boucher in seigneury of Iles Percées. 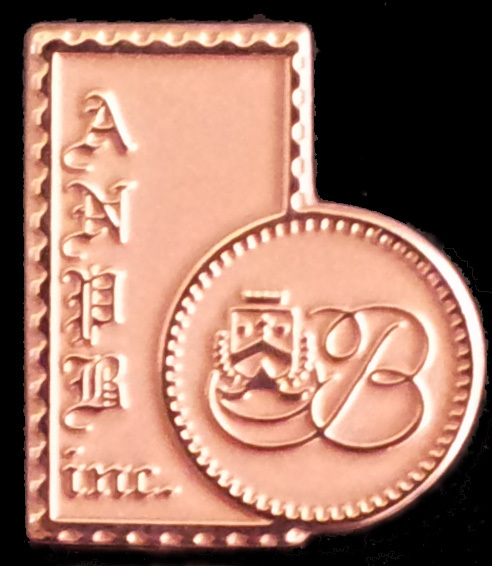 Official lapel pin of the Association des numismates et des philatélisstes de Boucherville Inc.